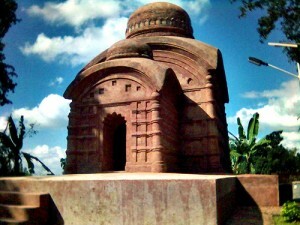 Bhubaneswari Temple is located 55 km from Agartala. Udaipur, situated on the banks of the River Gomti, is a city of lakes and palaces; the remains of a dilapidated palace on the northern banks of the river are a reminder that his small town was once the seat of the Manikya dynasty rulers. Adjacent to the palace ruins lies the old Bhubaneswari Temple one of the oldest temples in the state, Bengal’s most famous luminary. The site is a great attraction for tourists from Bangladesh and West Bengal. Another interesting temple in the vicinity is the Jagannath Temple. One the hills facing the river are the Chabimura rock panels. 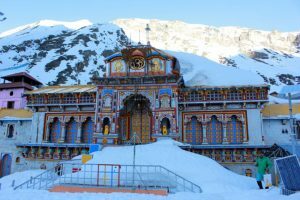 Carved into the hillside are images of Shiva, Vishnu, Kartik, Mahisasur and other deities, said to belong to 15th – 16th century. Udaipur has string of popular lakes such as Jagannath Dighi, Mahadev Dighi, Dhani SagarAmar Sagar and Kalyan Sagar, apart from Lake Rudrasagar. This entry was posted in Bhubaneswari Temple, Temple, Tripura and tagged hindus temple, pooja temple, puja temple, Temple, temple of. Bookmark the permalink.